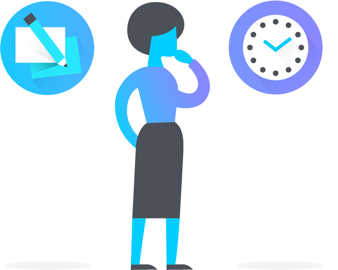 By default, Asana’s regular authentication apply and your Organization Members have the choice to either use a traditional password or Google SSO to log into their respective accounts. 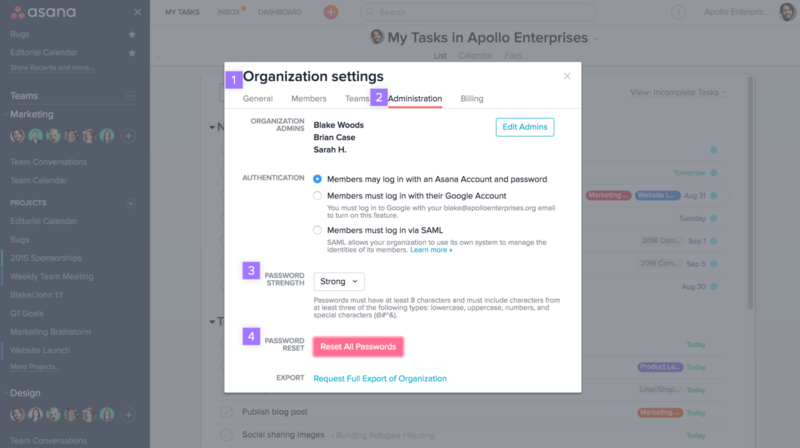 In Premium and Enterprise Organizations, Administrators can select how their Members log into Asana, set password complexity requirements and force reset all Members’ passwords. Premium and Enterprise authentication settings only apply to your Organization Members. Organization Guests are not affected by your authentication settings. Administrators have the option to force reset passwords for all Members in the Organization, and set a strength level requirement for passwords. When you force reset passwords for your Organization, Members will be prompted to reset their password upon their next log in. Members already logged into their Asana account will be force logged out and will need to reset their password. 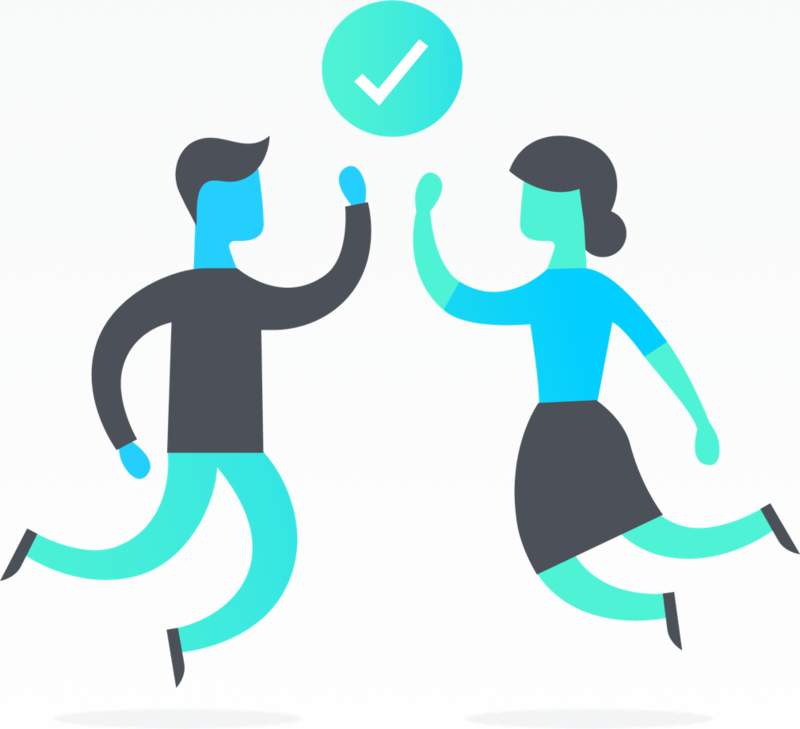 If your company uses Google Apps for business or education, and you are using the Premium or Enterprise version of Asana, you have the option to require your Members to authenticate via Google. From here, you will be redirected to a Google login page. Enter your Google login credentials to complete the setup. You must enter the Google credentials tied to your company’s Organization email domain. 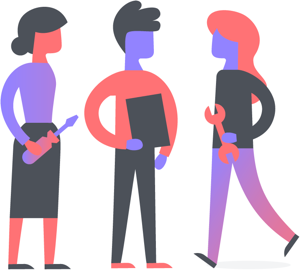 Once this change has been saved, any passwords associated to your Members’ Asana accounts will no longer work and they will be required to use Google SSO. If you are changing the email domain associated with your Google accounts, please contact us so that we can add the new domain to your Organization. Once an Enterprise Organization has been set up with SAML, the Organization Members will no longer need a password to log into their accounts. From the login page, they can just enter their email and click Log In, leaving the password field empty. 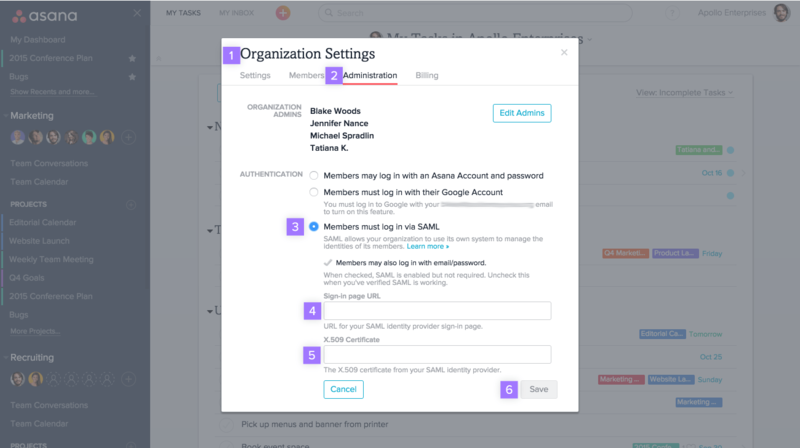 Learn how to set up SSO via SAML for Asana here. Check out this article to find out how to set up SAML for Asana with Azure AD. Check out this document to find out how to set up SAML for Asana with Active Directory. You could also try Okta Cloud Connect. Okta Cloud Connect is a free edition of Okta for one application. It allows you to set up Okta for AD integration and SSO for one core application. You can find more information here. Check out this article for step-by-step instructions on setting up SAML for Asana with SecureAuth. 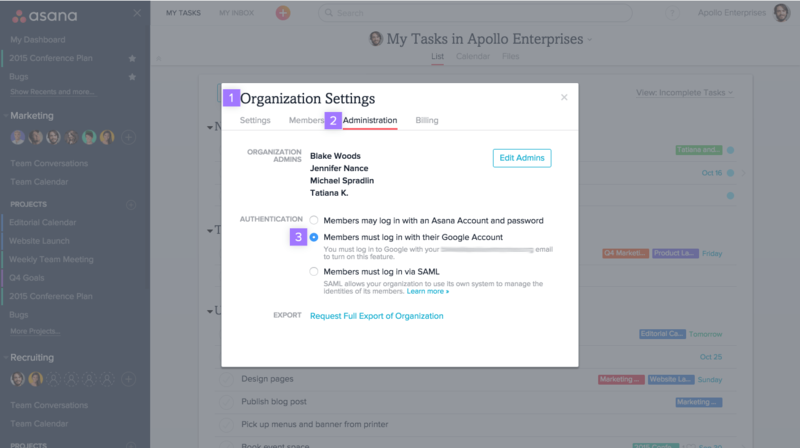 After you’ve configured Asana with your identity provider, you now make the appropriate changes in Asana. 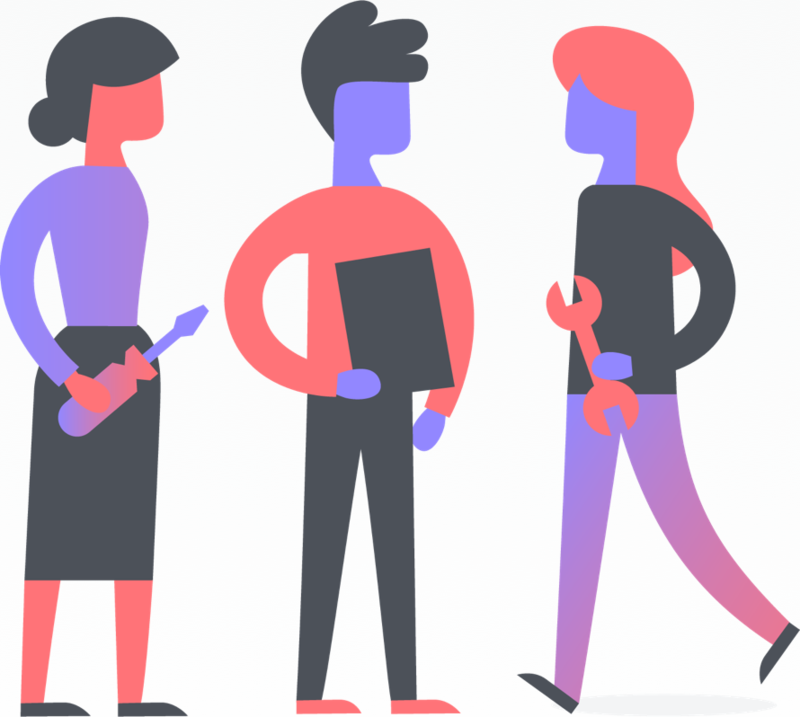 Once set up properly, anyone who belongs to your company’s Enterprise Organization will be required to log in to their Asana account with your preferred identity provider (regardless of other Organizations or Workspaces their account may belong to). If you are an Administrator and are having trouble with setting up SAML for your Enterprise Organization, contact us. 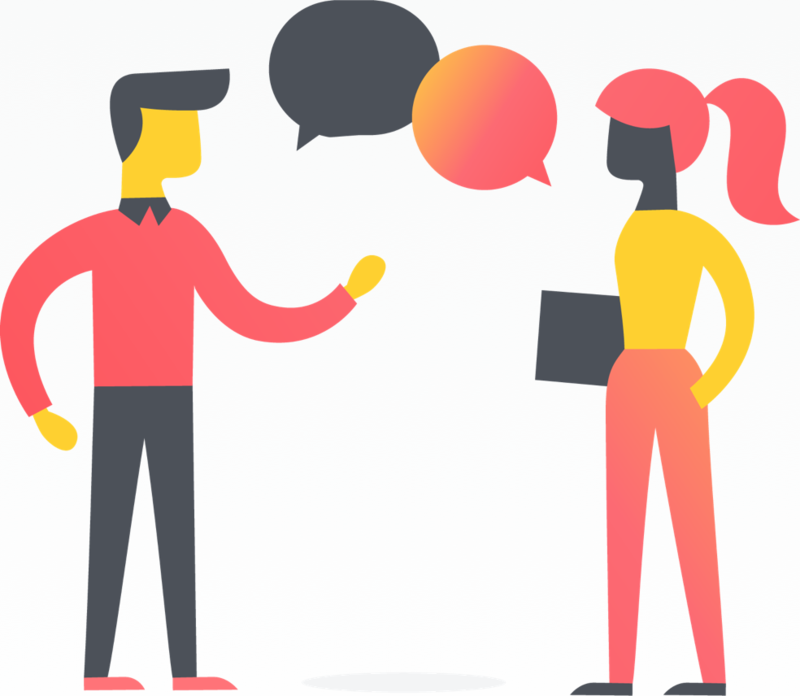 This section of the Asana Guide goes over upgrading to a paid plan and managing billing responsibilities. 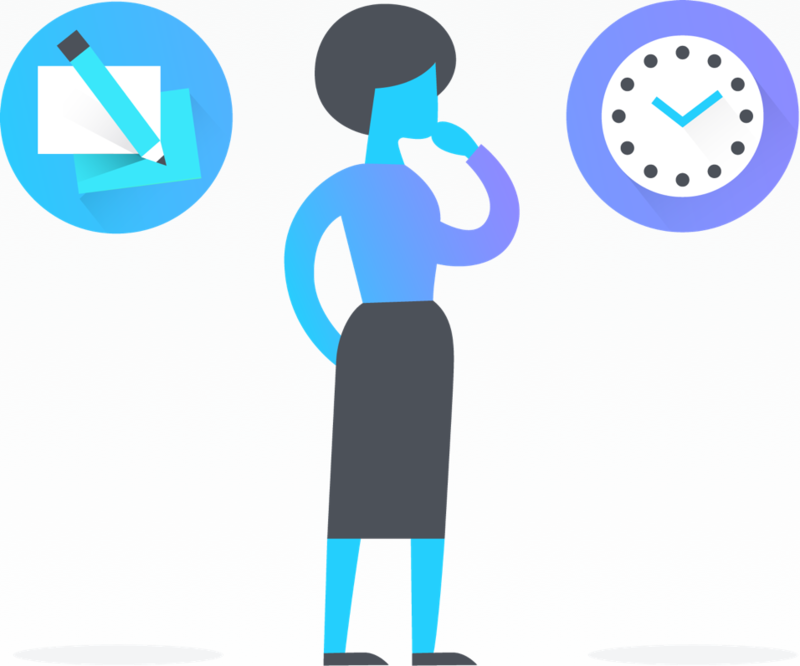 This section of the Asana Guide goes over the Administrator role in Premium Organizations.